Very hospitable hosts! They guided us to find the property and greeted us with a local sweet. We found some grounded coffee, a can of beer and figs from their garden in the fridge. There is a spacious kitchenette with a table and chairs to have your breakfast in the room. Amenities available such as a espresso machine and filter coffee machine, and a hair dryer. Very clean room and we had a large balcony with a view to the sea where you could sit to have your coffee. Wifi was excellent too, and the code was right there behind the door. Υπέροχη θέα, κοντά σε οργανωμένη παραλία, ωραία αυλή. Bien placé et calme. À proximité de 2 belles plages abritées du vent .Accueil chaleureux du couple de propriétaires , qui parlent quelques mots de français mais pas l anglais. Lock in a great price for Lygaria – rated 8.2 by recent guests! One of our best sellers in Agios Ioannis! 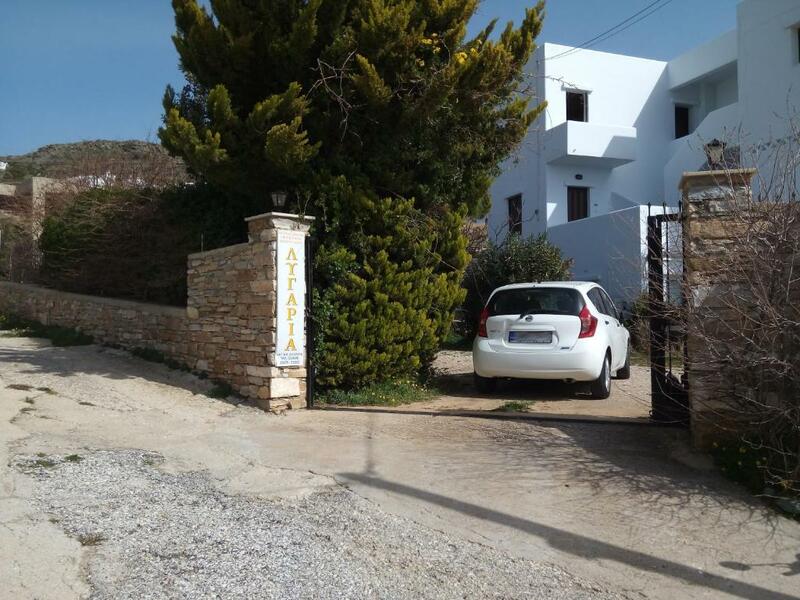 Offering a garden with sun terrace, Lygaria is just 350 feet from Agios Ioannis Porto and 1.6 mi from Agios Sostis Beach. 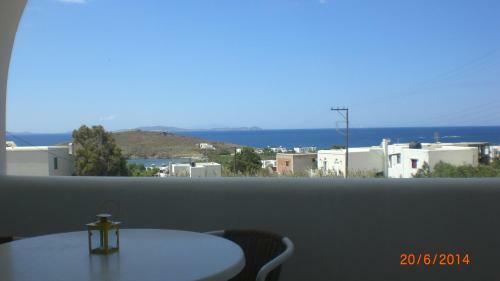 It features self-catering accommodations with free WiFi and Aegean Sea and garden views. Tinos Town, with the island’s port, is 3.7 mi away. 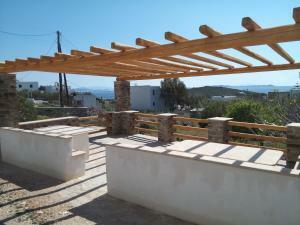 Opening to a furnished terrace, all air-conditioned apartments of Lygaria come with 1 or 2 separate bedrooms. Each has a TV and a kitchenette with hobs or kitchen with oven and rings. The property is 3.1 mi from Megalochari Church and 1.7 mi from Agios Fokas Beach. 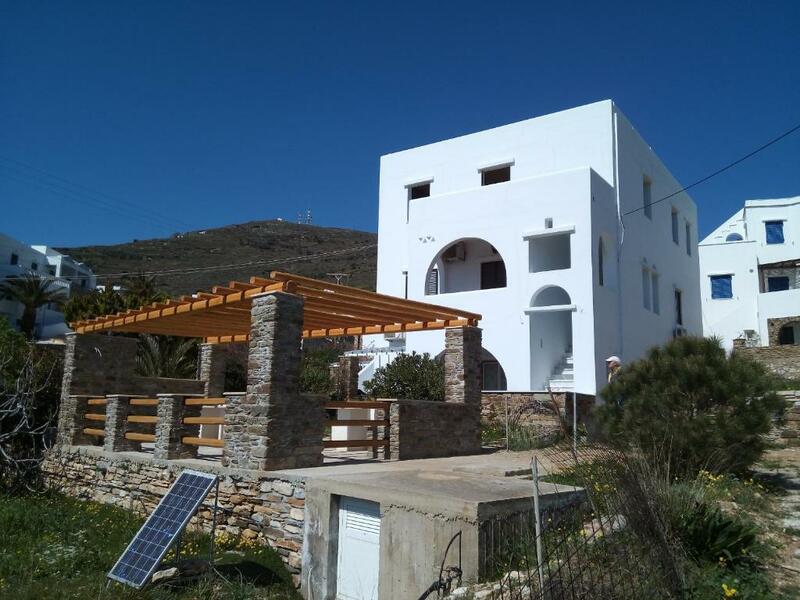 If you feel like visiting the surroundings, check out Pachia Ammos Beach at 2.5 mi and the Church of Kechrovouni at 3.1 mi. 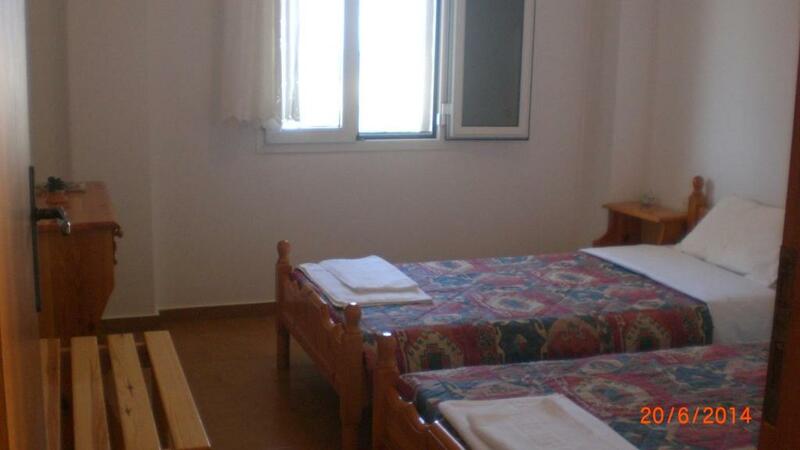 This is our guests' favorite part of Agios Ioannis, according to independent reviews. 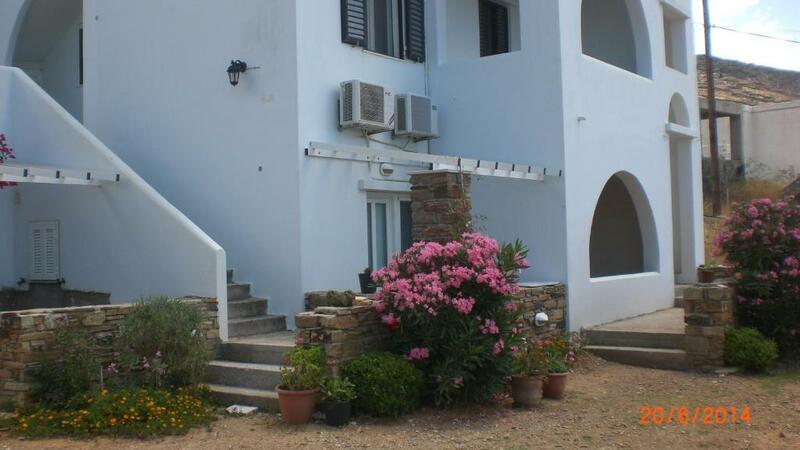 뀐 Located in the top-rated area in Agios Ioannis, this property has an excellent location score of 8.5! 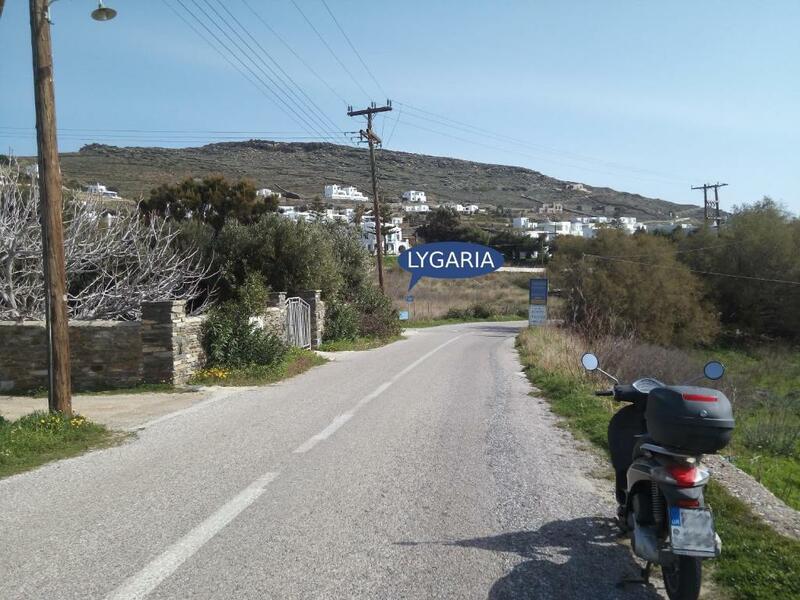 When would you like to stay at Lygaria? Opening to a furnished terrace with Aegean Sea and garden views, this air-conditioned apartment comes with a separate bedroom. It offers a TV and a kitchenette with dining table and hobs. Free WiFi is provided. Please note that the extra bed is suitable only for children up to 16 years old. Opening to a furnished terrace with Aegean Sea and garden views, this air-conditioned apartment comes with 2 separate bedrooms. 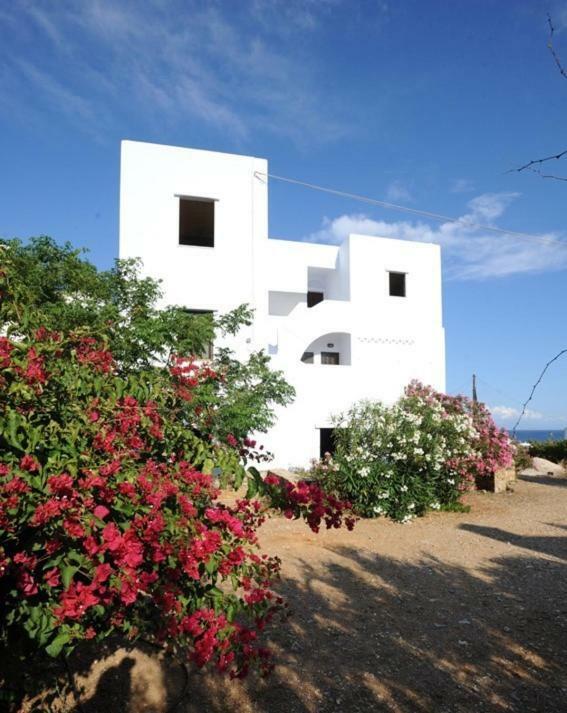 It offers a TV and a kitchen with dining table and oven with hobs. Free WiFi is provided. House Rules Lygaria takes special requests – add in the next step! One child under 16 years is charged EUR 10 per person per night in an extra bed. Please inform Lygaria of your expected arrival time in advance. You can use the Special Requests box when booking, or contact the property directly using the contact details in your confirmation. The bathroom was a bit small but I guess this was a choice made at the time they built the hotel. Still it does not make your stay less comfortable.